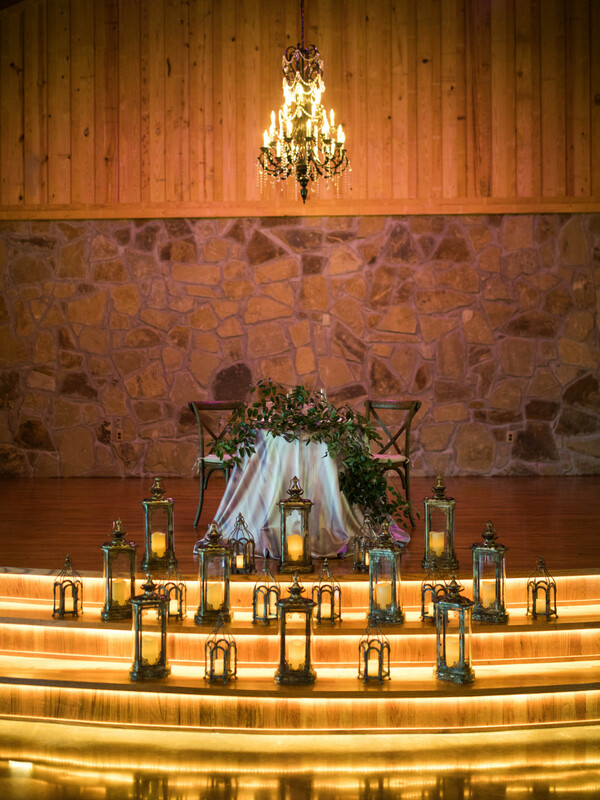 Simply Elegant Rentals provided tables, chairs, and other essentials. 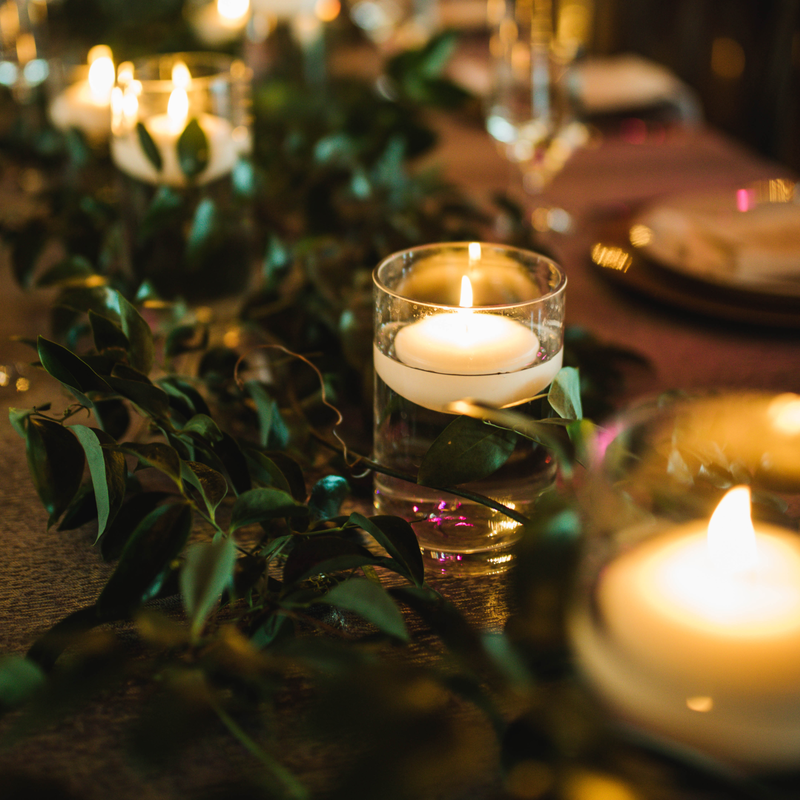 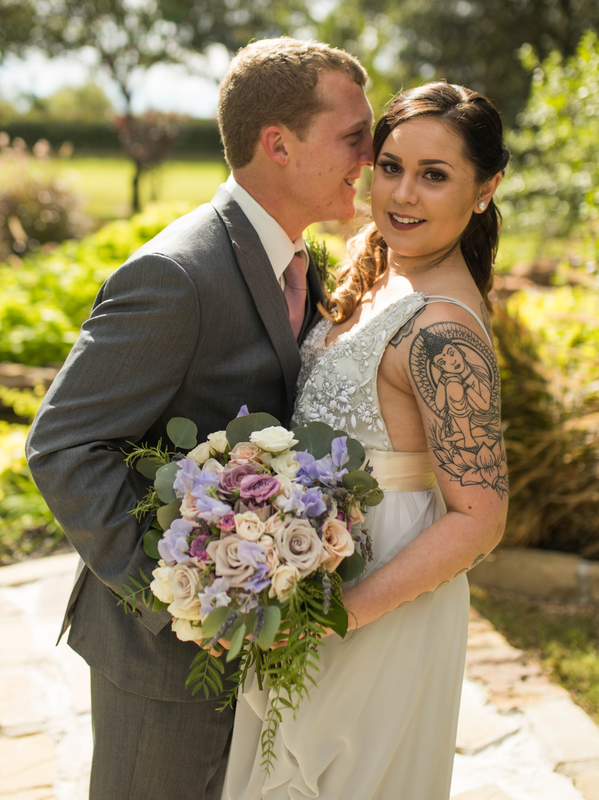 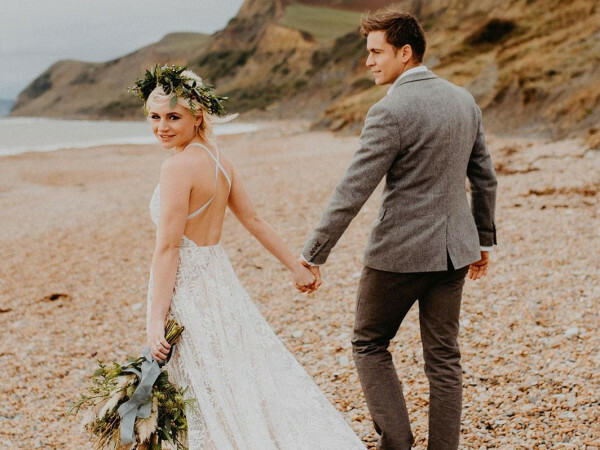 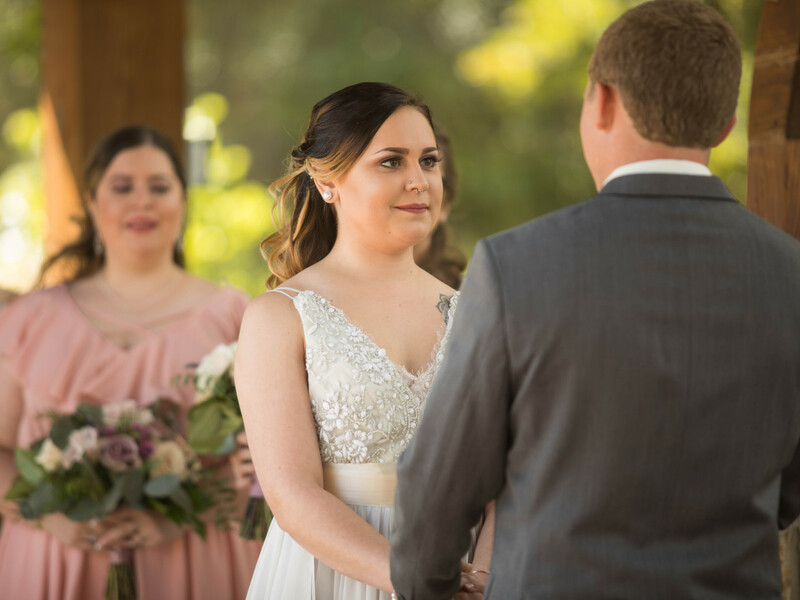 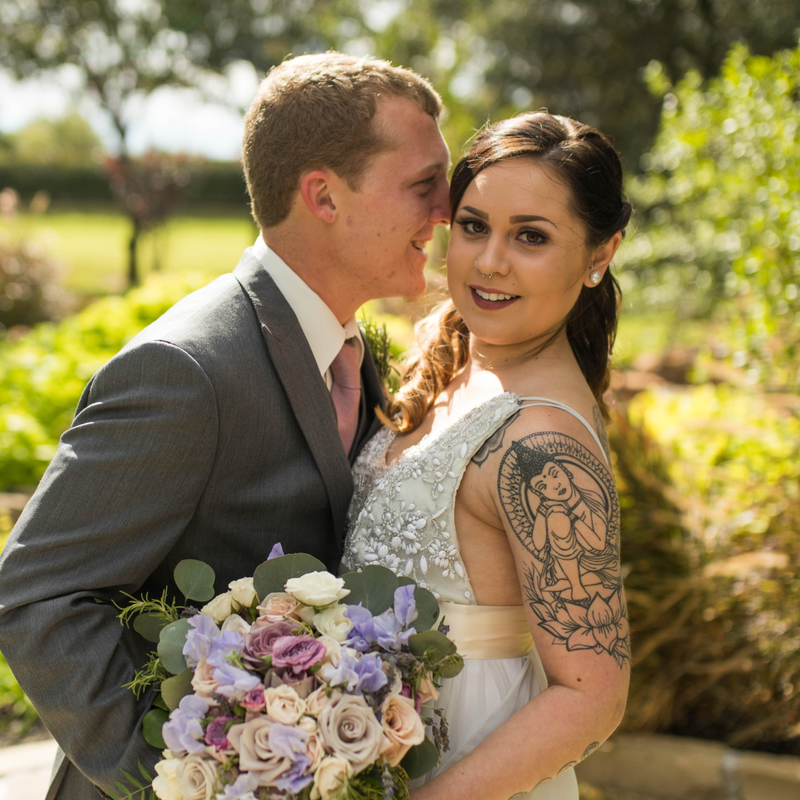 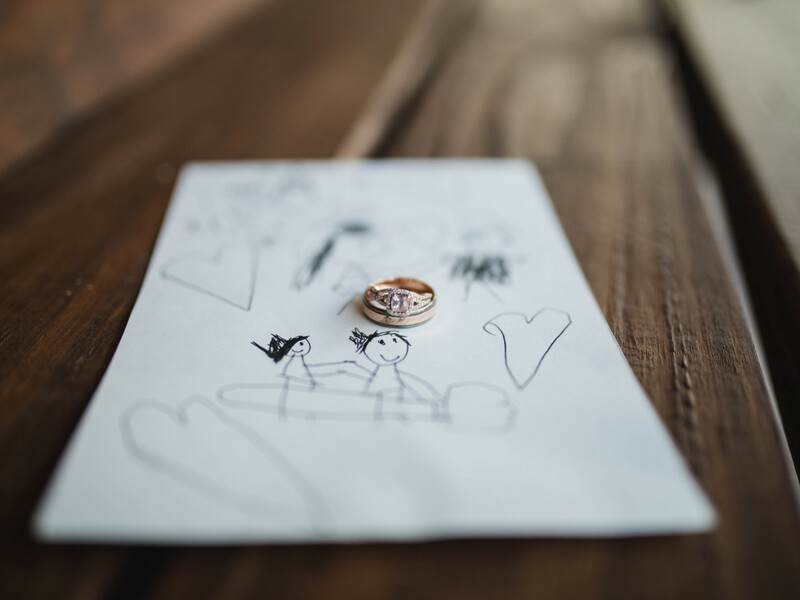 Sweet and nontraditional, Lindsey and Cameron Richter’s October 2017 wedding was a reflection of the couple themselves. 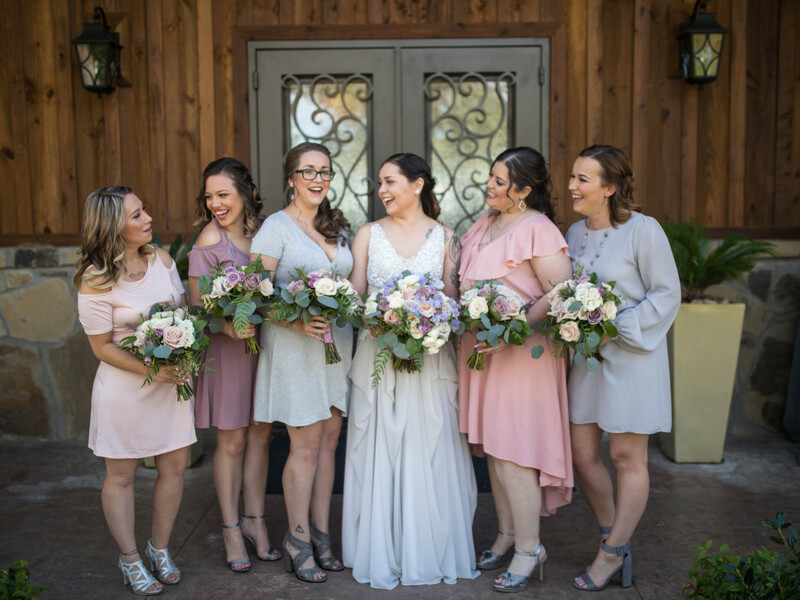 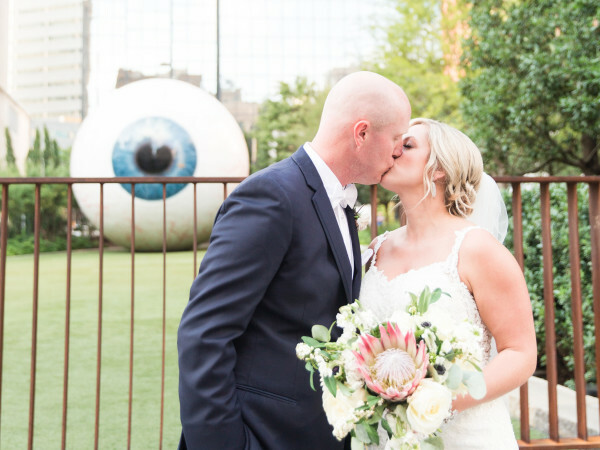 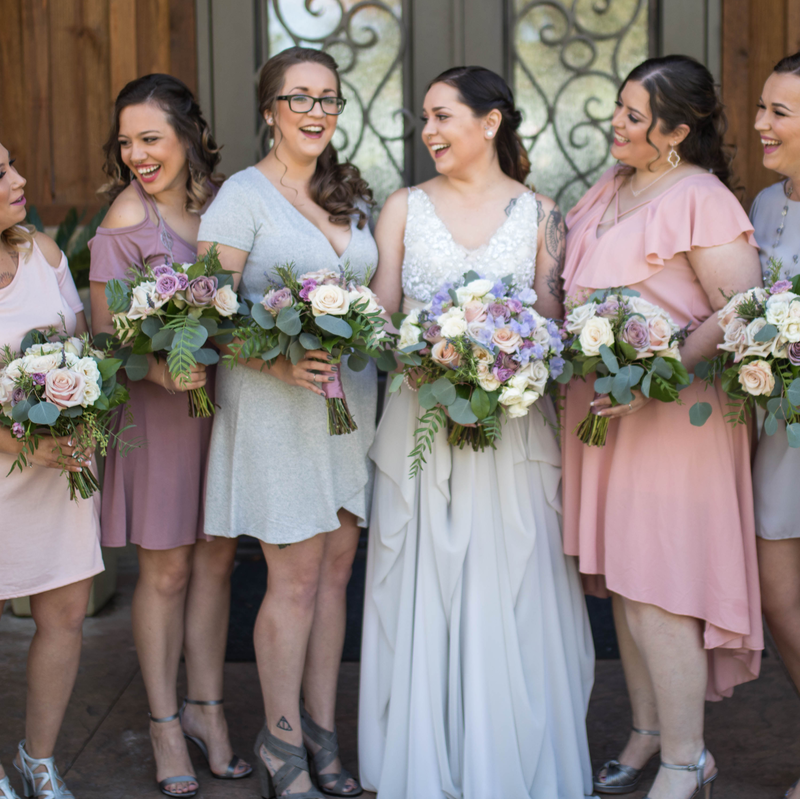 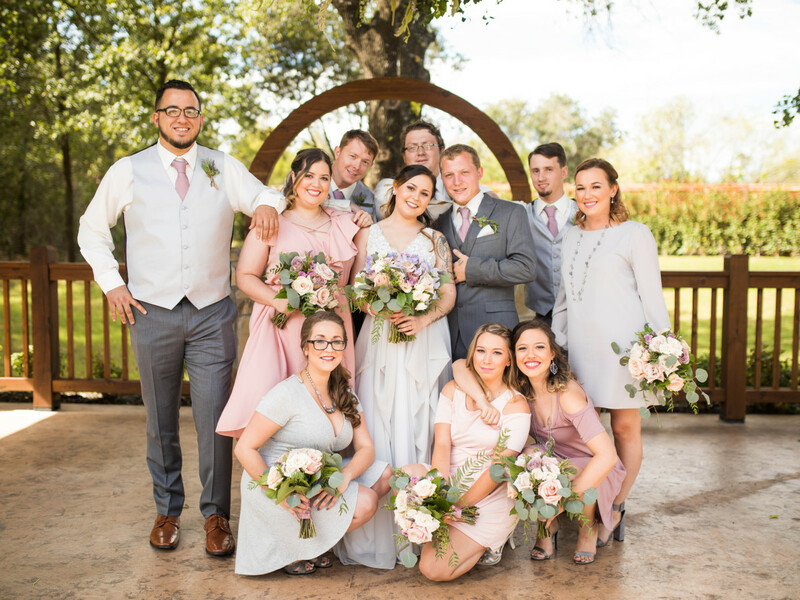 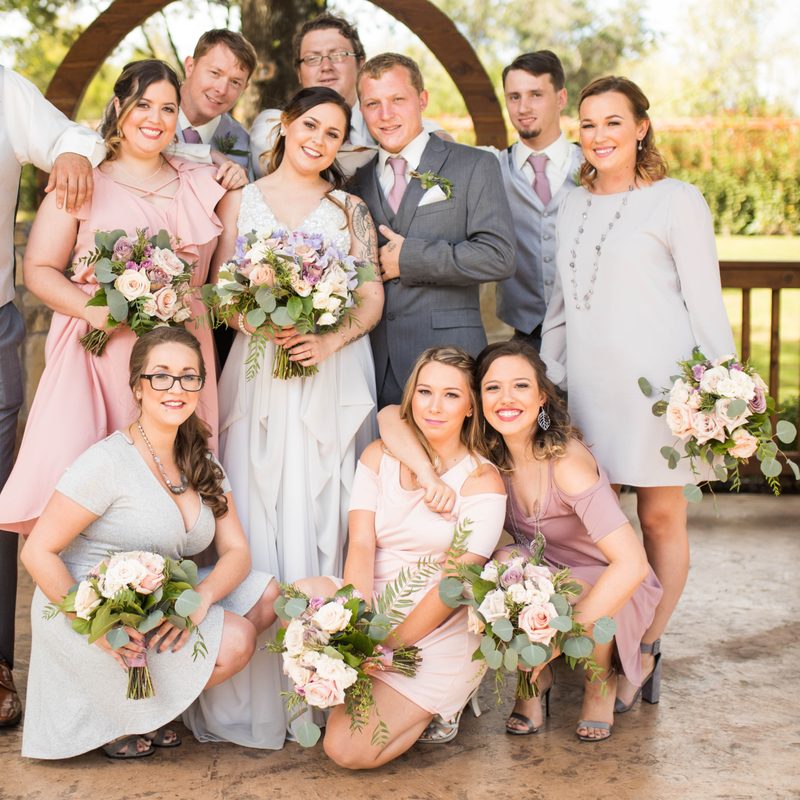 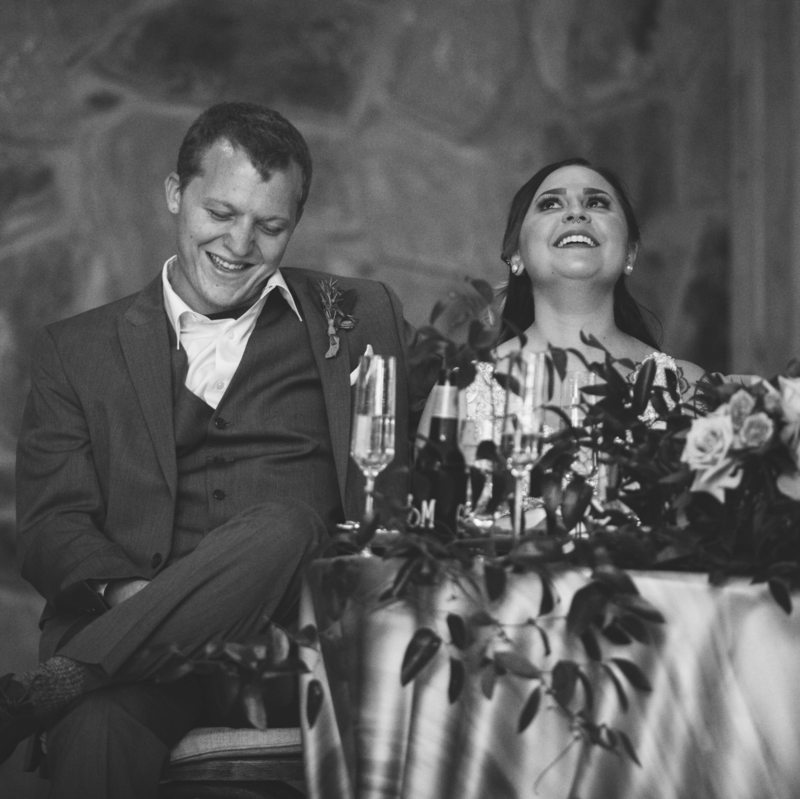 The bride and groom met through mutual friends circa spring 2014, but took their time getting to know each other in group settings before exchanging numbers. 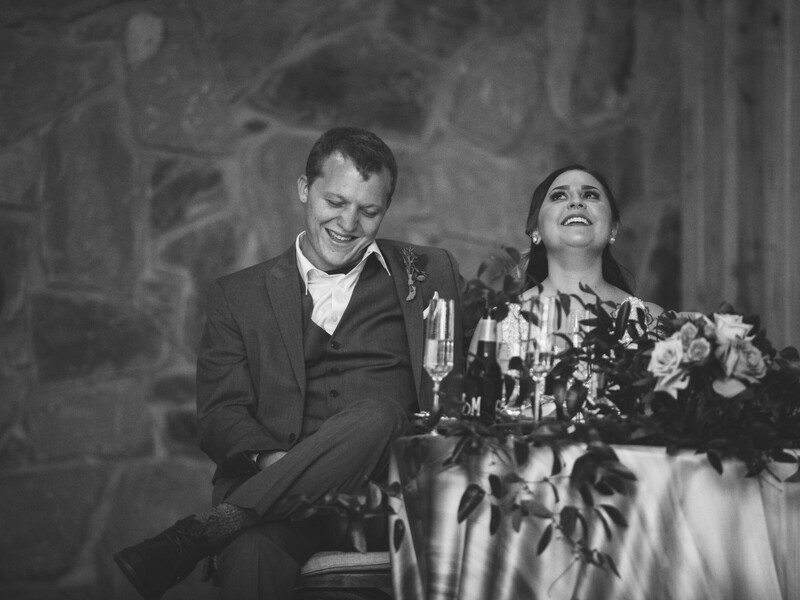 Suffice it to say, once they did they hit it off. 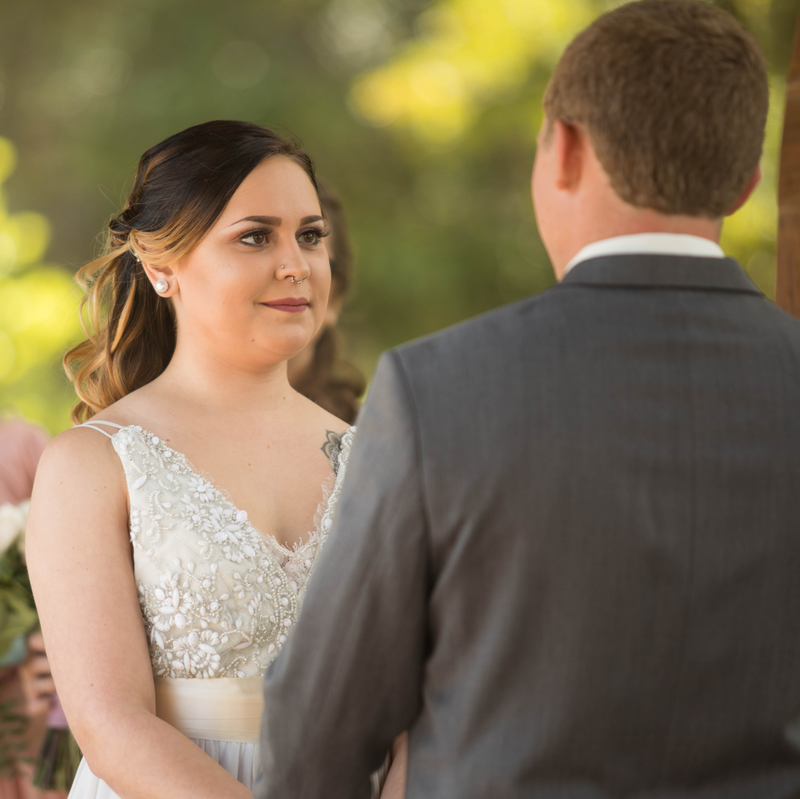 After nine months of dating, Lindsey and Cameron moved in together and have been "crazy happy," says Lindsey, ever since. 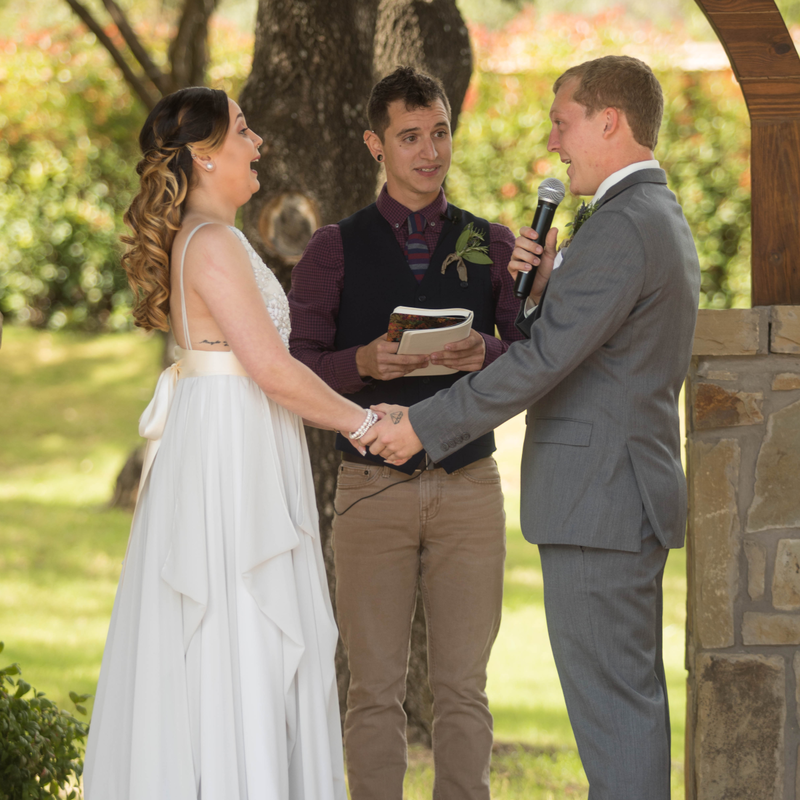 The couple didn’t shy away away from marriage talk. 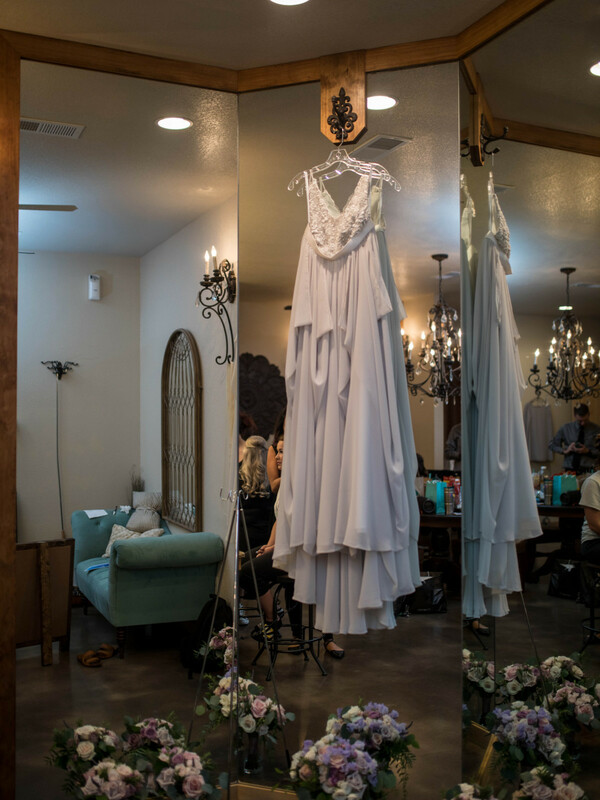 In August 2016, after a day spent window shopping for rings, Lindsey found the one and officially became a bride to be. 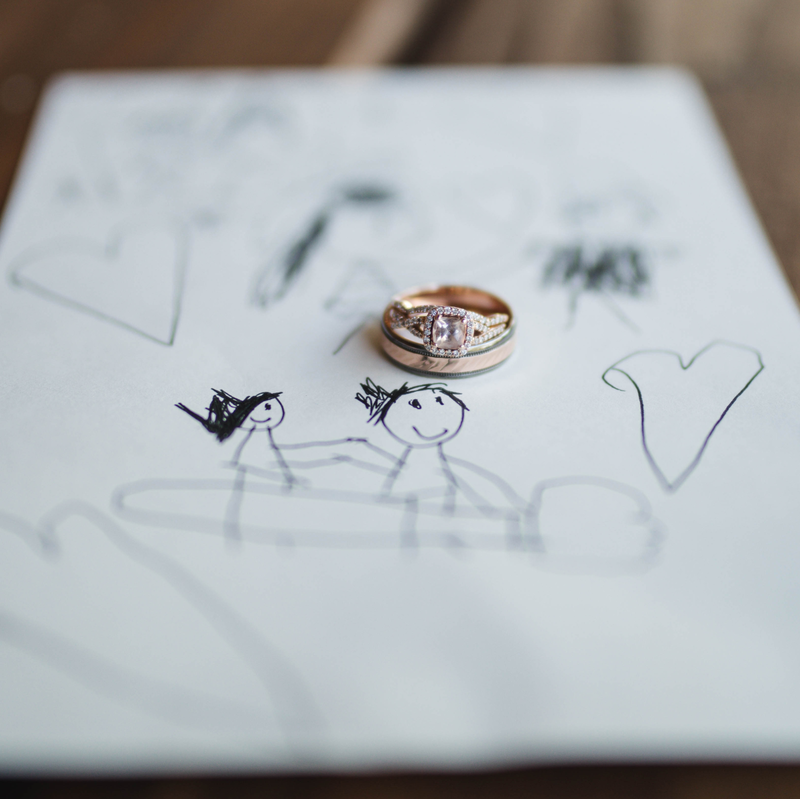 Direct, sweet, and simple, it was a low-key engagement quintessentially Lindsey and Cameron. 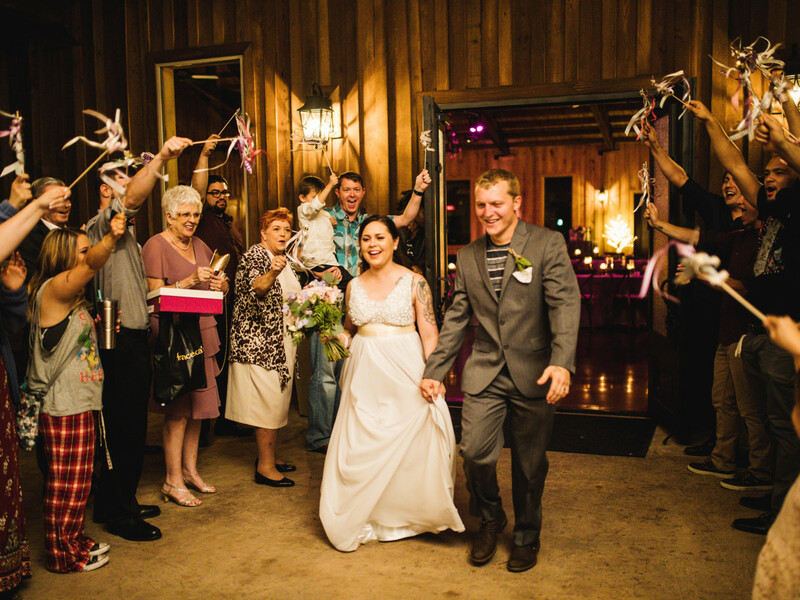 To follow it up, they opted for an intimate fall wedding with 60 family members and close friends. 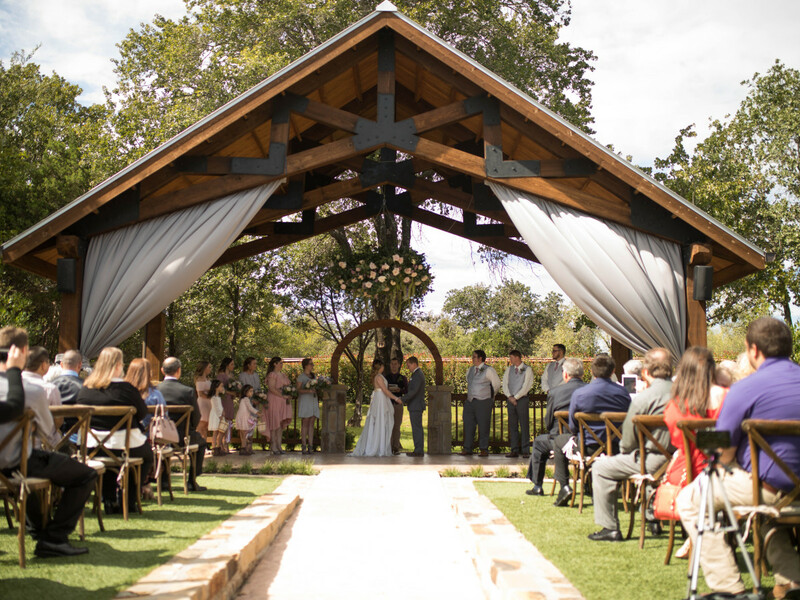 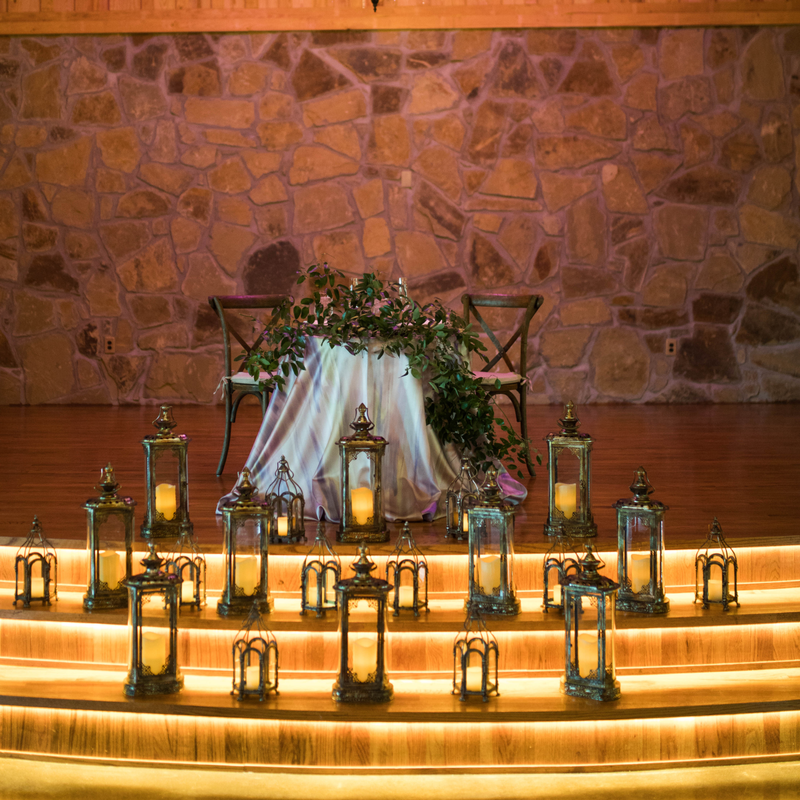 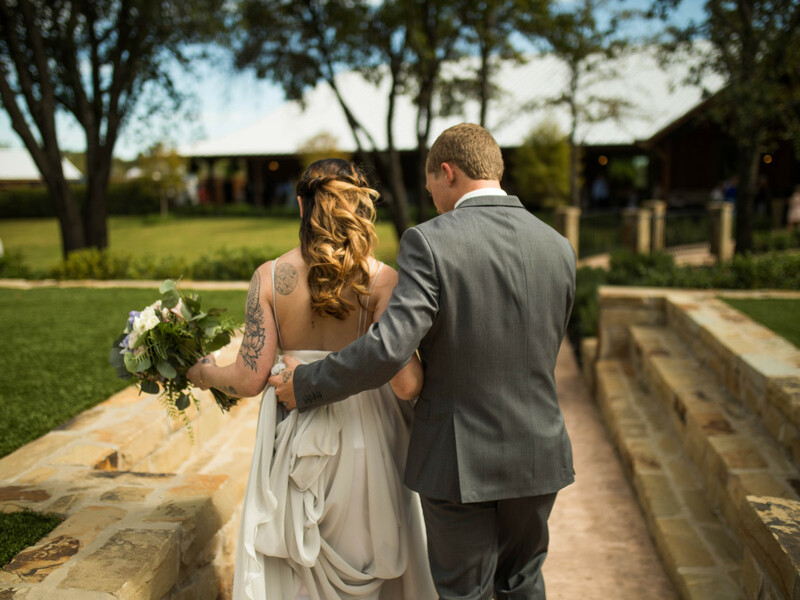 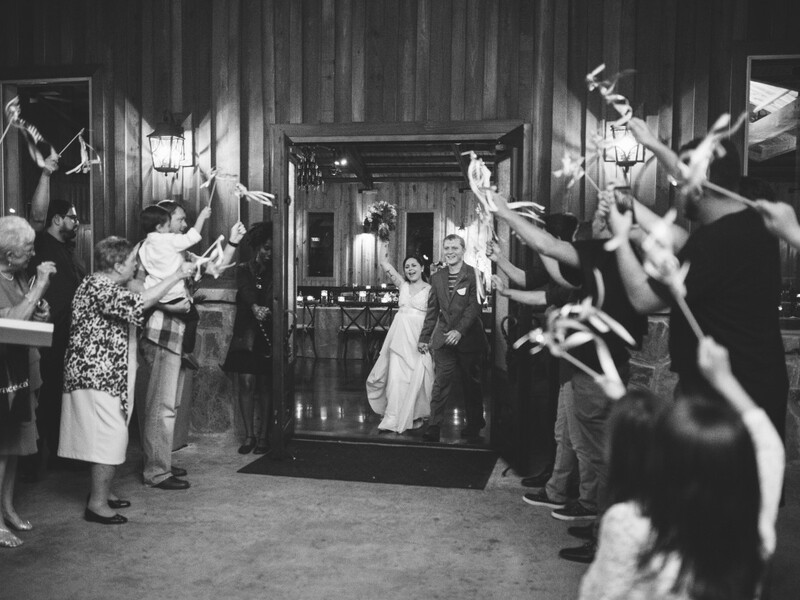 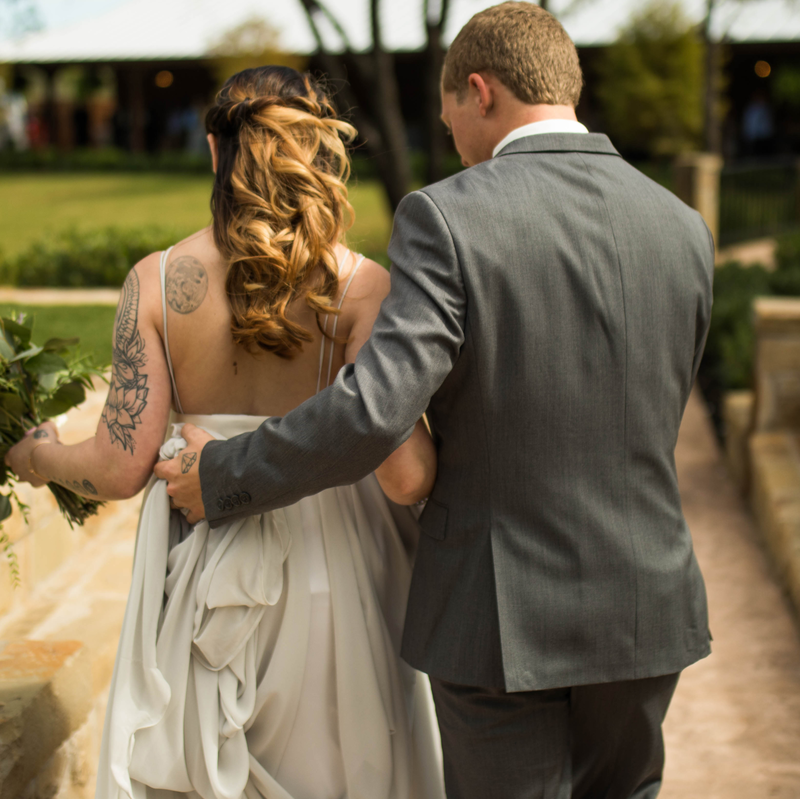 The Springs Event Venue in Weatherford provided the perfect backdrop for the big day. 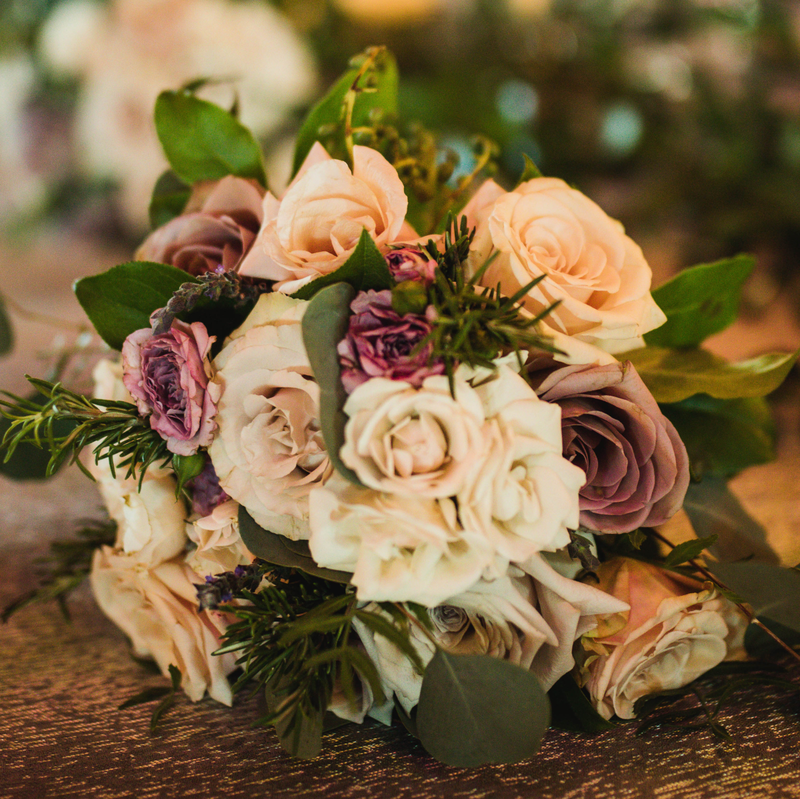 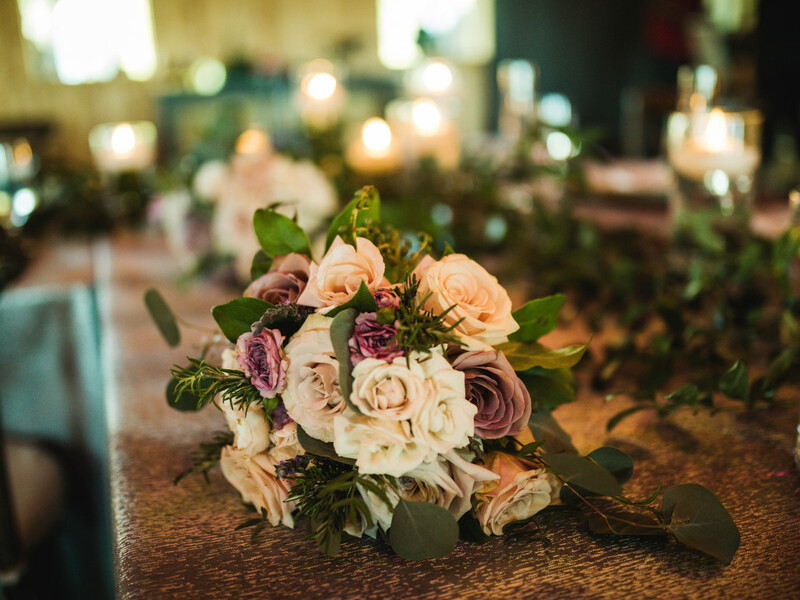 Jackson utilized draping, greenery, and floral arrangements to personalize the space, working within a gray, mauve, and dusty rose color palette. 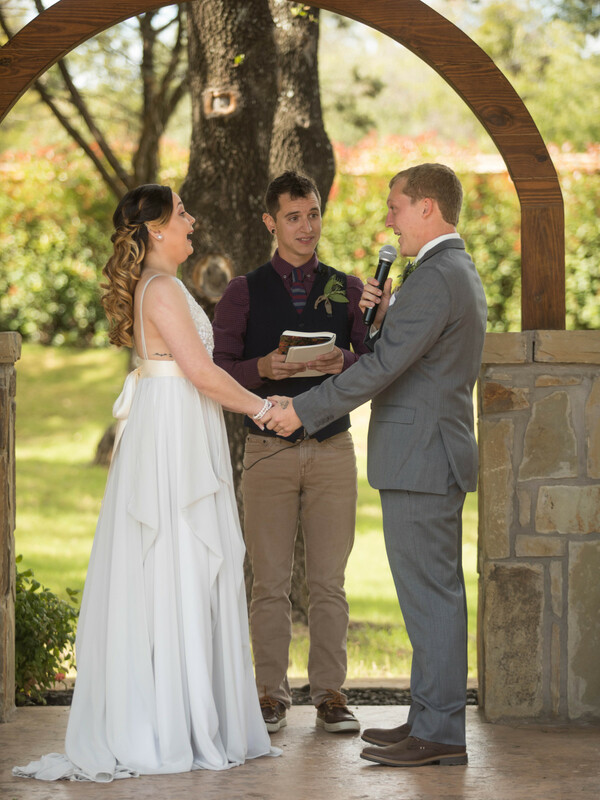 Lindsey’s brother was ordained to officiate the ceremony. 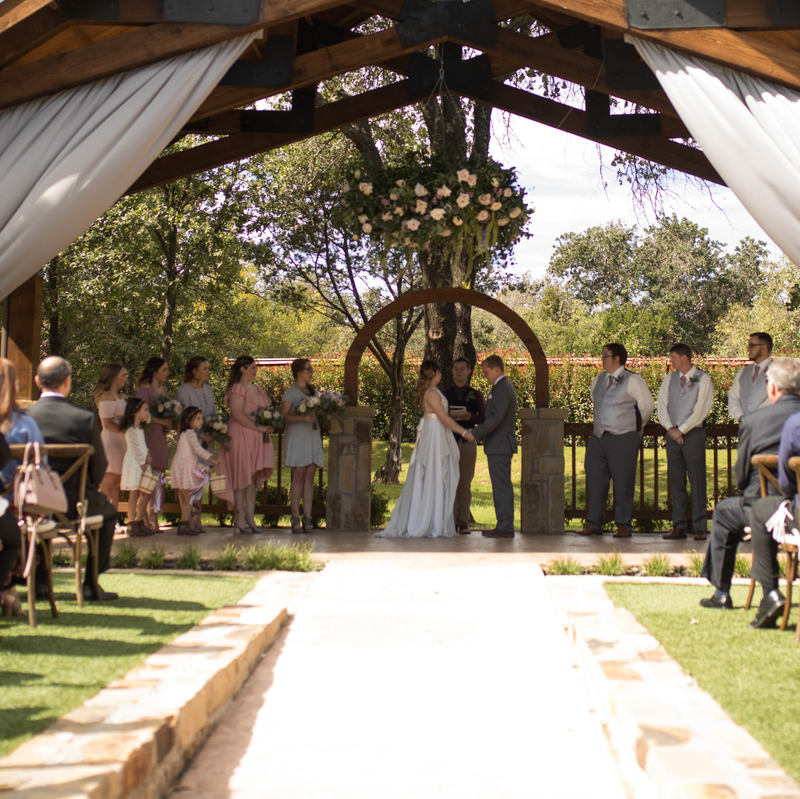 They said their vows beneath a 4-foot floral chandelier. 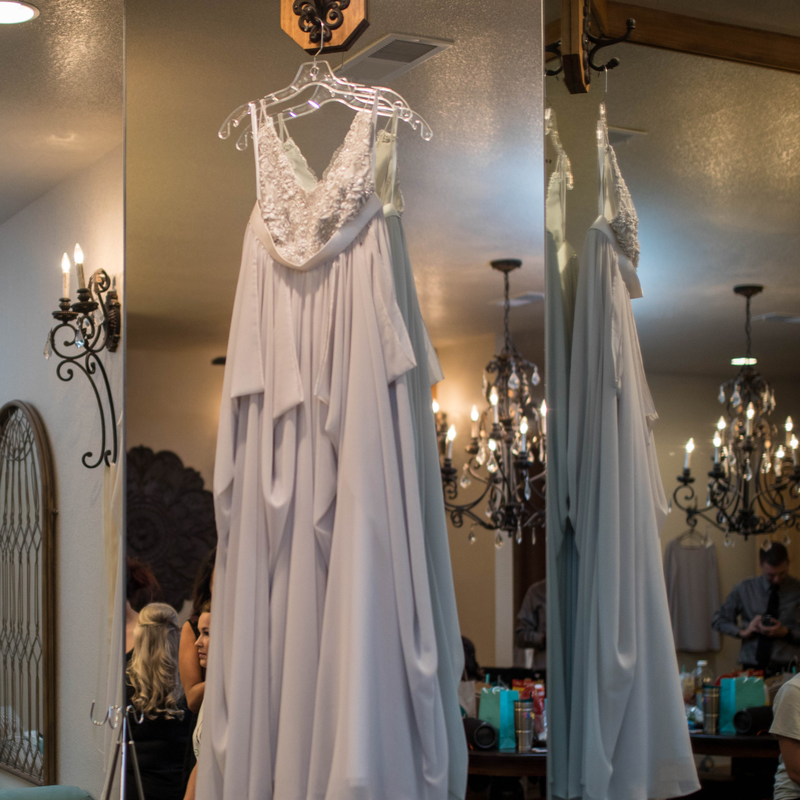 Gray draping and the the bride’s gray dress, worn in lieu of traditional white, completed the scene. 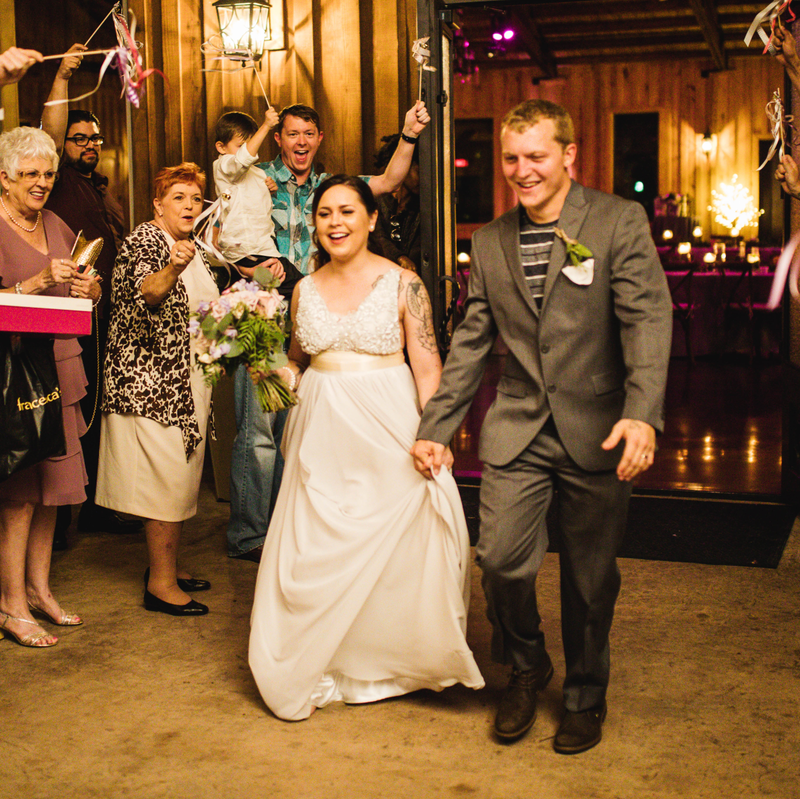 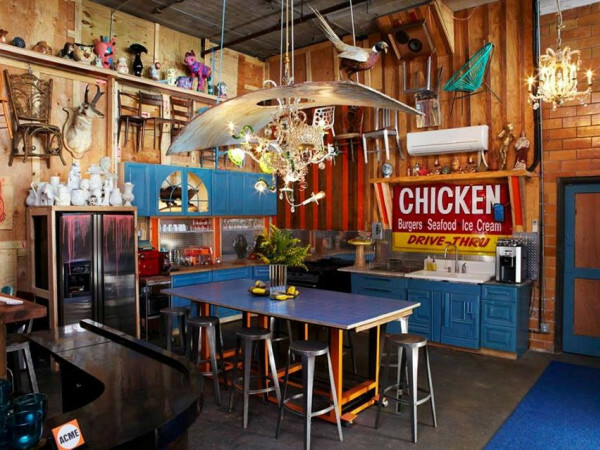 Following the “I dos,” guests spent cocktail hour gathered around an Airstream trailer, which doubled as the bar. 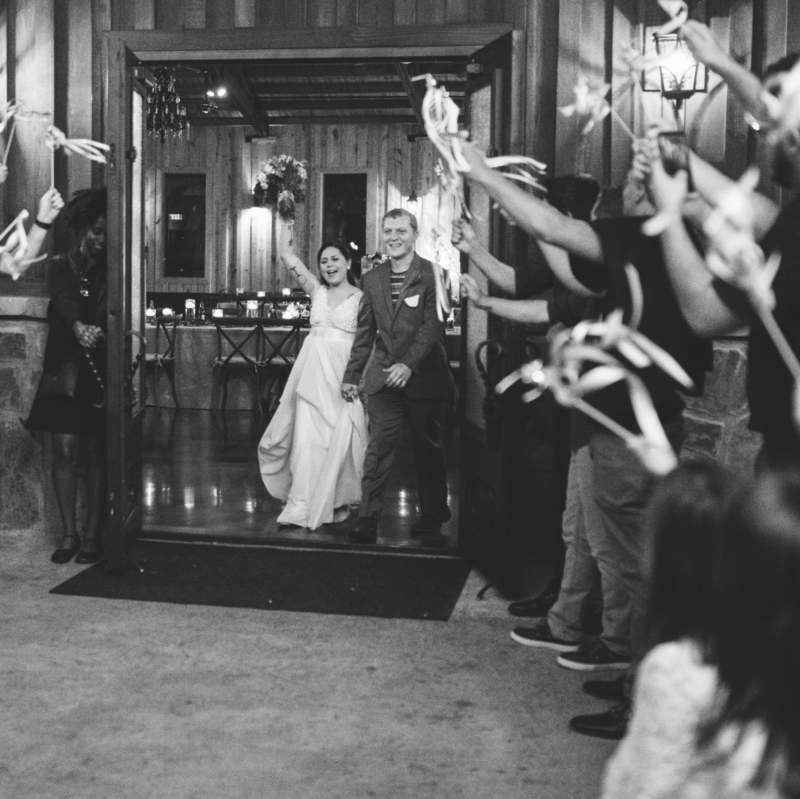 They then went to the reception to feast on chicken and waffles, breakfast tacos, and omelets. 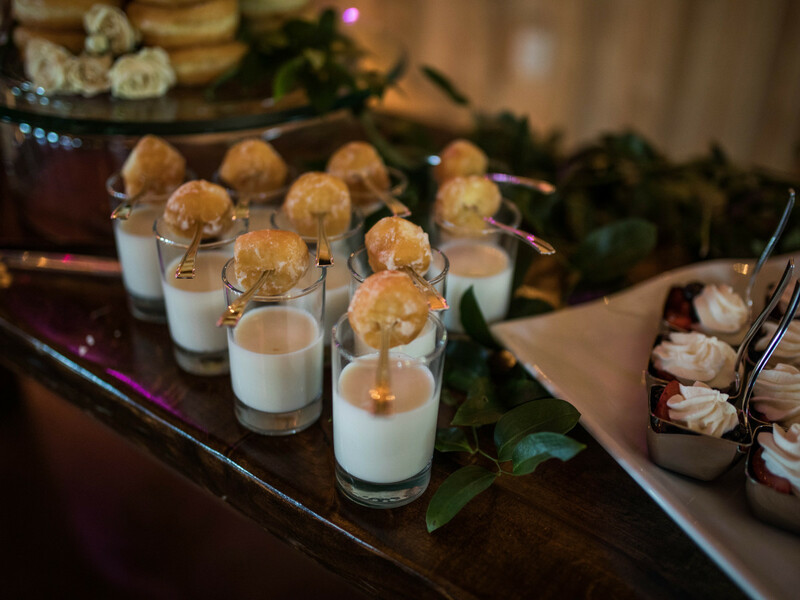 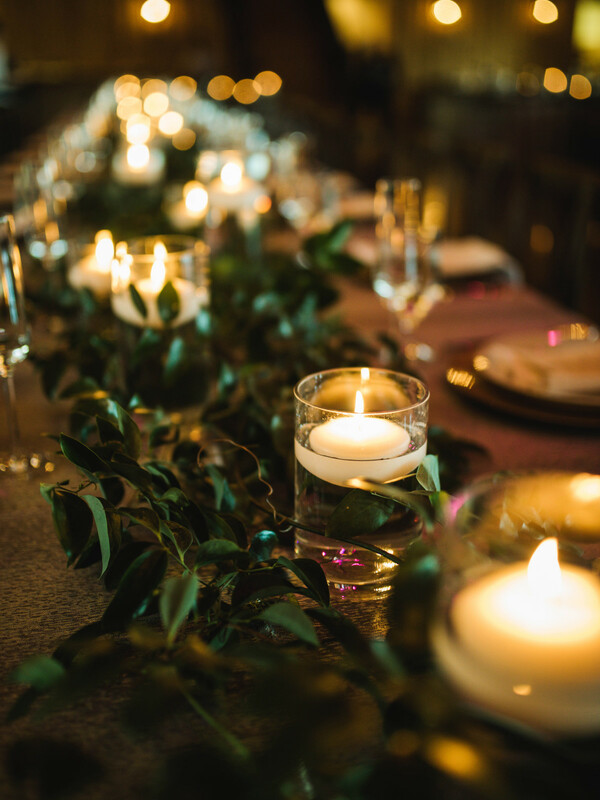 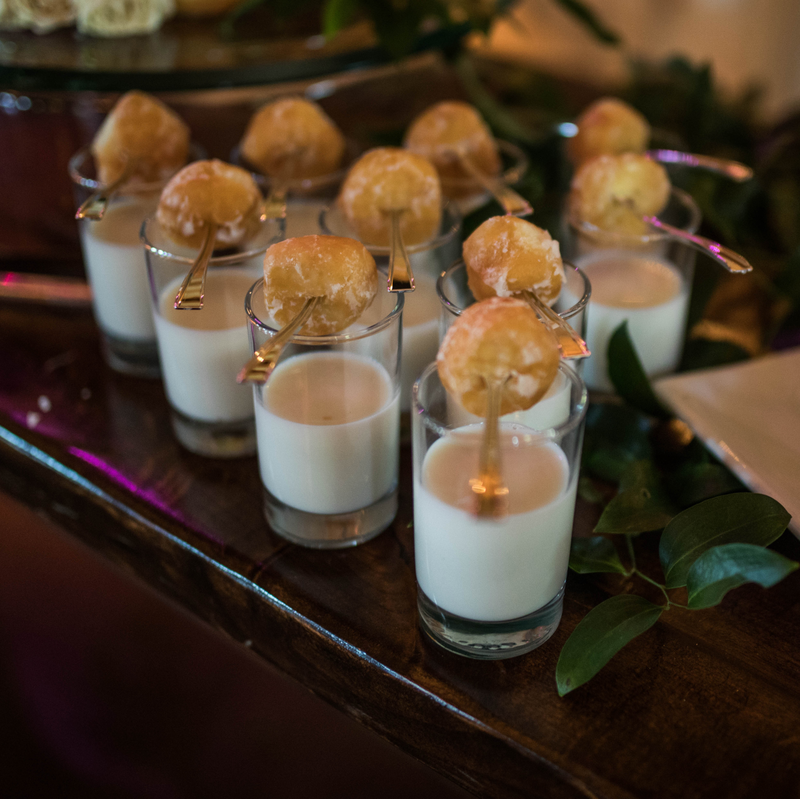 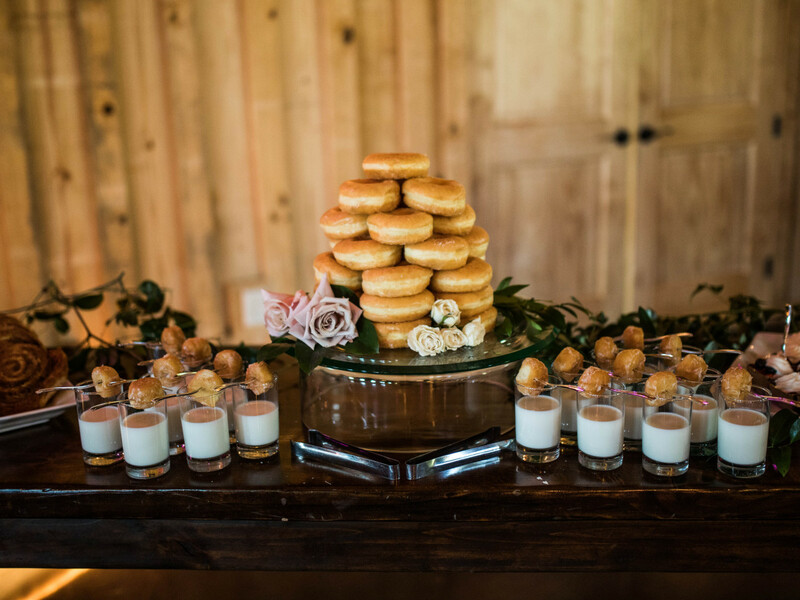 As the bride and groom’s favorite meal is breakfast, it was only fitting that reception fare consist of breakfast standards. 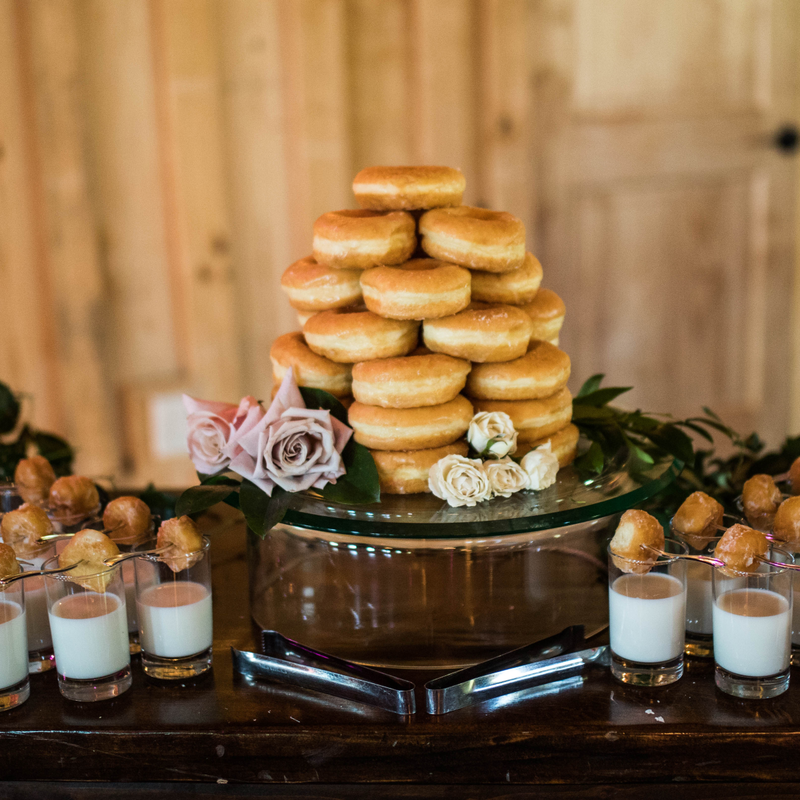 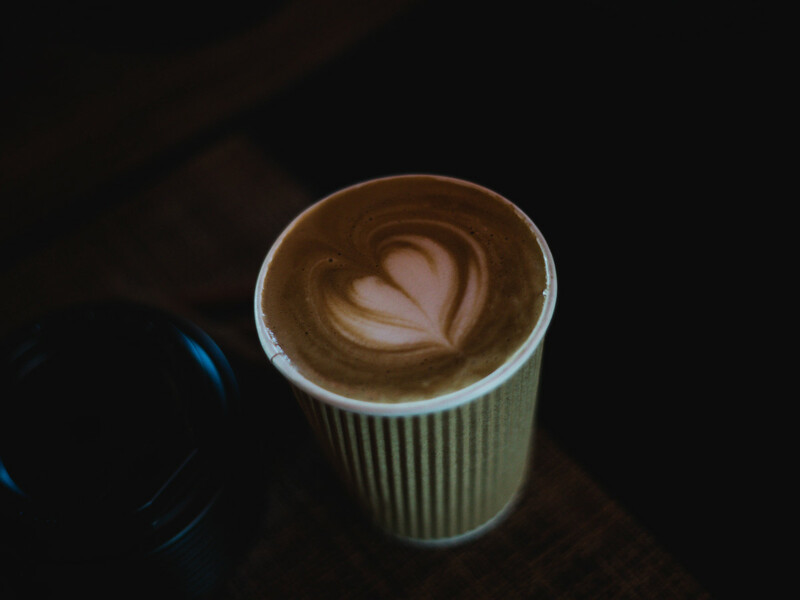 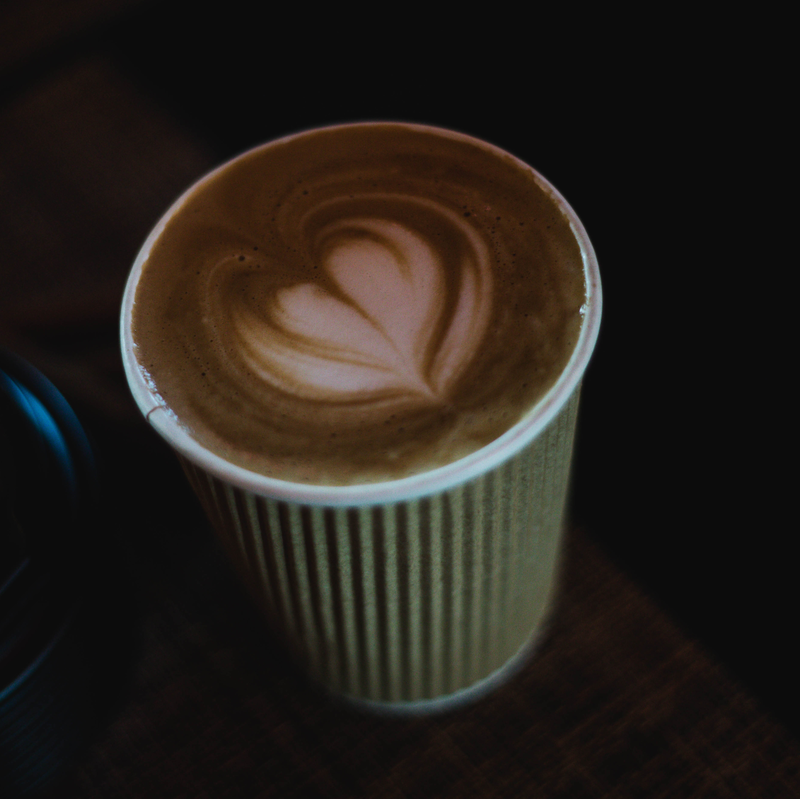 Doughnut cake, breakfast pastries, and parfaits closed out the day, perfectly paired with fresh coffee courtesy of Lattes on Location.